A RUP LIFE: BECOMING BEA By @LeslieJeanGould - Book #review, Kindle Giveaway and Facebook Party! 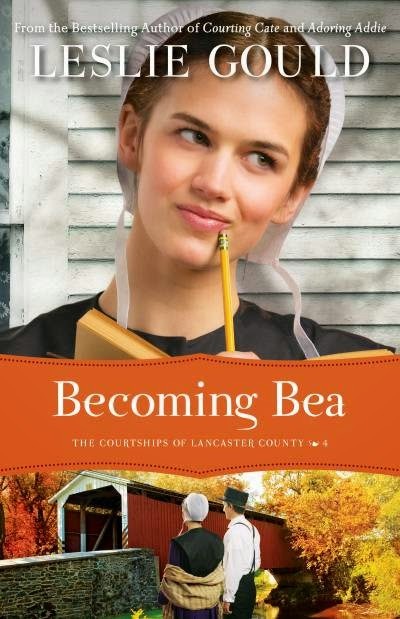 I recently was sent Becoming Bea by Leslie Gould for review. I literally devoured this book! I read it in 2 days and at 348 pages that is saying something. I shed a few tears while reading this sweet story. I loved Bea and Ben and honestly all the characters. I'm going to have to go ahead and get the first 3 books in this series because I want more in this little world. The book is set in Lancaster, Pa within the Amish community. The main focus is on Bea who is a young single girl. She loves God and is open to His molding - which is something I found wonderful in this book. At times I felt that slight sting of conviction along with the character! Who would have thought a romance novel could do that!! While there was a lot of focus on the daily life of Beatrice and her taking care of the Miller Family - it didn't get old at all. I liked reading about their daily life and the socialization that came with daily meals and chores. Gould is a fantastic writer and she gives us the right details. She shares just enough of the character's thoughts and feelings and it makes you want to read more to know what will happen next. I honestly would love a second book in Bea's voice! She is a fascinating character. Strong, independent and a tiny bit sassy! She learns to balance her will with God's will for her life. I found her 'old soul' ways to make for a enjoyable character for sure! Be sure to pick up your copy of Becoming Bea at your local retailer or online at a store like Amazon!